After running the kitchens at Carnevino and Eataly, the Dario Cecchini protégé will bring her version of Italian peasant food to Mountain’s Edge. One of the most talented chefs in Las Vegas is heading off-Strip. 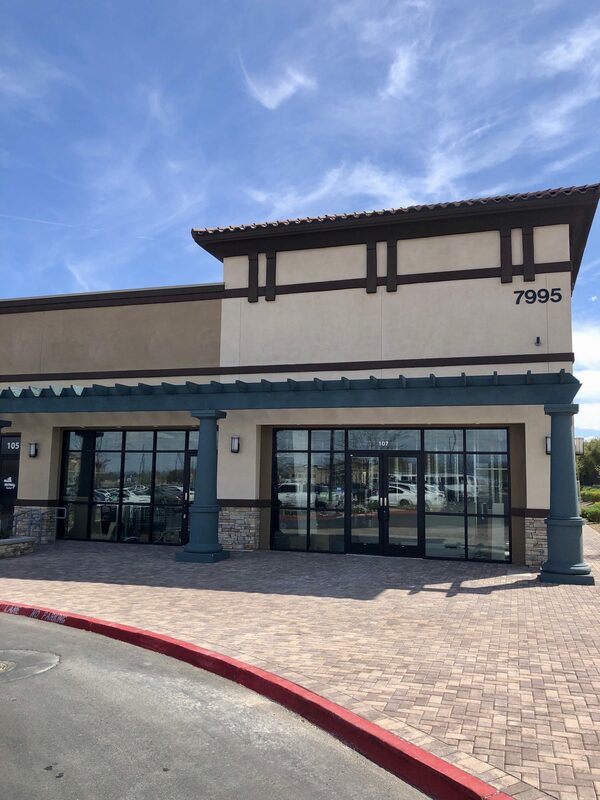 This summer, Nicole Brisson and restaurateur Andy Hooper (The Black Sheep) plan to open Locale, a restaurant at the new Mountain’s Edge Marketplace in southwest Vegas. And given Brisson’s history as executive chef of both Carnevino and Eataly, you can expect Locale to be an Italian restaurant that serves great meat. Brisson remembers the day she met legendary butcher Dario Cecchini. She had recently turned 21 and was in Italy to learn all she could about cooking. Author/chef Faith Willinger, who’s written books about Italy, had set her up to apprentice with culinary luminaries like Cecchini. So Brisson, accompanied by a vineyard owner she had been helping out as a intern, walked into Cecchini’s butcher shop in Panzano. So Brisson got up on a stool in her high heels and began making salami. “I was stuffing sopressata up to my shoulder,” she says of that first day in the butcher shop. Working with Cecchini was a formative experience for Brisson, who would go on to establish herself as a top-tier chef and meat maven in Vegas. And Cecchini has given her advice and inspiration throughout her ascent, including the seven-and-half years she spent as executive chef of Carnevino in The Palazzo. Locale might seem like a big off-Strip gamble for Brisson, who built her career at casino restaurants and will be leaving her job at Eataly in Park MGM. But Locale, where Brisson will serve la cucina povera (Italian peasant food) and use a pizza oven for lots more than pizza, will allow the chef to simplify her life. The restaurant is 3,000 square feet, with 72 seats in the dining room and lounge, nine seats at the bar, and 30 seats on the patio, which is tiny compared to what Brisson’s done on the Strip. What she means is that she’s overseen Vegas restaurants that have been so large that it was impossible for any single person to calibrate all the elements. She laughs when she remembers being at the massive Carnevino and thinking about “downsizing” her work situation. Instead, she ended up being promoted and became the culinary director in charge of Carnevino and three other restaurants. Then she joined Eataly, a 50,000-square-foot complex with 500 employees. Brisson's success is far from standard. At Carnevino, she served the city’s most intense dry-aged steaks and an array of perfect pastas in a restaurant where many people dined in big groups. This was simultaneously one of the best steakhouses and one of the best Italian restaurants in Vegas. At Locale, Brisson will be sourcing the same kind of heritage meats from independent American farms that she’s showcased on the Strip. She also visits Italy often to be “in touch with the ingredients” at olive-oil pressings, small farms, and multi-generational businesses like butcher shops that “are so steeped in family traditions.” So she’ll get ingredients like dried pasta, oils, vinegars, and charcuterie from Italy. She also wants to make her own pasta at Locale. “Eventually, I would like to have a fresh pasta, dry pasta, and extruded pasta program,” she says. After she sorts out the pasta, she’d like to dry-age meats herself and also make charcuterie for Locale. And the goal, here in the suburbs of Las Vegas, is to serve all this while offering customers value compared to what they would pay for similar food in a Strip casino. There will be a full bar with a high-profile mixologist who will be announced in the future, Hooper says. Beyond wine and a craft-cocktail program with a lot of brown spirits, Locale will offer a wide range of apéritifs and digestifs. Brisson say a lot of high-profile Las Vegas chefs have left the Strip because they’ve bought homes and built lives in this city and now want to create restaurants for locals. From two-time James Beard Award semifinalist Sheridan Su at Flock & Fowl to James Trees at Esther’s Kitchen to Brian Howard at Sparrow + Wolf to Jamie Tran at The Black Sheep, these are chefs who could no doubt be running casino restaurants in 2019. But they’ve chosen to open deeply personal off-Strip restaurants where they can pay attention to all the little details. Brisson, for example, is excited about using ingredients from local sources like Herbs by Diane and Prime Color Growers. The basil from Prime “is the closest to Italian Genovese basil I’ve ever found,” she says. Brisson adds that she can’t wait to start using Locale’s wood-fired pizza oven. “I’m thinking about everything else I can do with that besides pizza,” she says. She plans to cook meats, vegetables, and big casseroles in the oven, which will burn applewood. She’s eager to serve “very rustic dishes.” She wants to offer classic Italian preparations while also riffing on Italian-American flavors. Locale will serve lunch, dinner, and weekend brunch. For Brisson, who can go drive from her house to Locale in ten minutes, having an off-Strip restaurant gives her an easier commute. Hooper, whose Strip jobs have included being director of operations at Daniel Boulud’s Dinex Group, can walk to Locale. This is very much a neighborhood restaurant that happens to have some extremely serious Strip talent involved. Investors include Zach Allen, a veteran Vegas chef who hired Brisson at B&B Ristorante more than a decade ago after she had worked at Bartolotta Ristorante di Mare. Allen, who has been working with Brisson ever since and has become her close friend, helped design the kitchen at Locale. “He’s like a brother to me,” Brisson says. Hooper, meanwhile, has been presenting her with off-Strip opportunities for years. Finally, with Eataly under her belt, Brisson knew it was time for to make the move. Locale, 7995 Blue Diamond Road, Las Vegas.